Is any country acting so decisively against its own interests? Last chance to book for the Friedman conference! I’ll be speaking with Ian Plimer next weekend. It’s a great line up of speakers on May 25-27, or come for the Gala dinner. Get a 10% discount with the code Nova18. Bookings close this Sunday. We, the Global Crash Test Dummies of Renewable Energy, have the fourth largest known reserves of coal in the world. We have so much coal we can keep digging it up at the current rate for the next 294 years (assuming we don’t discover more, which we will)1. If we didn’t export three quarters of our coal, but used it all ourselves, it could power Australia for the next 1,000 years. (But we’d miss the money– better to sell the stuff before nukes make it worthless). Coal also makes up 3% of our entire GDP, employs near 50,000 people, is one of our top two exports, and brought in $54 billion dollars last year. If any nation was going to ask hard questions about the need to abandon coal it should be us. Instead, our leaders (bar Abbott) trip over themselves in the rush to sell out the national interests. All for the glorious pursuit of symbolic achievements in planetary air conditioning. Our industrial competitors beam with joy as they pat us on the back, praise our greenness, and burn our coal. The US and Russia have about 400 years of coal left at current production but China only 70. Countries with lower reserves are Indonesia (59 years) and the UK (17 theoretical years) which is as good as “run out”. The world as an average has 150 years left. All of this is just a best estimate based on assumptions that no one will discover more coal, and nor will they use more (or less) than they do currently. But you get the idea. EIA, Graph, Map, Coal reserves by country. Coal production, Map, EIA, country. EIA, Map, Coal consumption by country. We will never run out of coal because sooner or later we will go nuclear, and sometime people will figure out fusion. No one will bother digging out the last coal. It will truly be a stranded asset then. We should use our coal now, while it’s still worth something. Go HELE and burn the lot. Ditch the renewables and figure out how to make Labor pay the bill. At least the lights would stay on reliably. O/T Wind at about 06:15 producing a total of 109 (I presume mw). Thanks for that A. I. Even that increase may not be from wind, as that AEMO number is for “Wind and other”, so the rising sun might have started to have an effect. I noticed the equivalent numbers for other states have all increased when I looked, but are still small. Isn’t the ACT all “ephemeral energy”? With numbers like this what is the “state of righteous” there? Coal, keeping the lights on, (and the cuppa made! ), in South Australia today! Wind has collapsed to around 5% of nameplate today. With a blocking high in the Bight the wind won’t pick up for a week. Even then it will be quite temporary Gordo, the High centre goes into the Tasman around the 28th then by the 30th the same High centre has regressed back over SA, and is reinforcing again from the Indian ocean’s High . . for about the 5th time so far. That High established in the Bight on the morning of the 9th of May, so three weeks of blocking as of the 30th of May in the model runs. Will be interesting to see how long it lasts, but appears we’ll be getting a colder central and eastern winter, if this basic pattern persists all season. It’ll only takes some winter ECLs to bring in general cold from here. The pattern is different to what the Klimatarit envisaged under AGW, they didn’t factor in regional cooling. A east coast low would drive southern ocean breezes to Cape York. Cancel the pensions of all South Australian former politicians who backed the RET there and give them shares in wind and solar businesses after removing the subsidies. No, make them buy shares and then remove the subsidy Dennis. Its already been discovered. There is 395 Billion tons of lignite on land and 1,200 Billion tons under Bass Strait. Then there is another 600 Billion tons of black coal under the brown coal. This is just in Victoria and Bass Strait. The current maximum extraction rate is 60 Million tons per year. Even if you only count the easy stuff (33 Billion tons), that is 550 years of digging. Then there is all the hydrocarbons trapped in the coal pores. The n-anes, n-enes, phenols, or 3 Trillion barrels recoverable or over US$200 Trillion in todays dollars. Every Australian citizen could do nothing for 200 years and still be richer than ANY other country. Then there is the coal in NSW, SA and Queensland. Yet another US$200T. Yet we listen to morons. Geoff, you have touched on a key issue here: When I saw the headline “300 years of coal left…” I first thougth there was a zero missing. Reserves are that portion of Resources that are currently proved up to a higher technical level and deemed to be economically mineable now. Resources are the bigger envelope of a material capabable of being a Reserve, after further work. Not all Resources are proved up to Reserves, usually because they are not needed yet, and why spend the extra funds doing it now when you can spend it in 30 years time? So in looking at the amount of coal that could be economically exploited, you take the current Reserves, plus that portion of the Resources that could be proved up to economic Reserves with more work, at current price and cost levels. And at the momement it would not include coal resources off Newcastle under the sea, or beneath Sydney harbour. But in the future with new mining technology, or even significantly higher coal prices, it could. For Australia, coal capable of economic extraction is a much bigger number than current Reserves alone. All too true. Then there is the petro products that could be manufactured. This is easily four times the value of the oils. Then there is the carbon products and the manufacture of methane using the CO2 mixed with hydrogen. Its less expensive to make methane than drill for it. The stupidity of our anti-coal policies defy logical thought. Very well presented. My thoughts exactly. There is no need for government or the UN to contort energy supply. Presently it is government intervention that is the problem. Great summary Jo. This should be posted on every school noticeboard in Australia. This should be posted on every school noticeboard in Australia. That would be heresy. If the teachers didn’t rip it down, the students would. Such is the ideological parlous state of our education system. A certain adjunct professor presented the typical consensus 97% of scientists dogma at my old school five years ago. I’ve been asking him to apologise to the 2012 cohort ever since to no avail. If anything he’s gotten worse as the illusion of knowledge grows in him more strongly. I worry that he will join the Club of Rome and call for a cull of the global populace! I’d say sell the coal, as much as you like or as much as you can. It’s very inexpensive to ship it all over the world. Coal is also often associated with tight gas that can be economically extracted by hydraulic fracturing. Natural gas is more of a regional fuel and very clean so would be great to use domestically. I realize you can convert that to LNG and sell it internationally but the chilling and re-expanding operations take a lot of energy. So be green sensibly, sell the coal and keep the gas. Keep the gas and use it to power vehicles far into the future. When you look at the self interest in all levels of government, from the EEU and U.N. down to local government, you can see we are in big trouble. Governance implies accountability which isn’t being enforced. We need a peasants revolt. Peasants revolt yes but not when the peasants don’t feel like the poor and downtrodden….yet, add to the equation two decades of anti science propaganda and a new generation that were exposed to it during their crucial developing years and now we have a real problem. When the proles accept their leaders decisions without question the program is almost complete, the only revolutionaries are those that attempt to stop the progression of the Green hearts and minds agenda with nothing but facts and reasoning, lets pray some of those rough men that stand ready in the night are on our side when those that wish to do us harm come. ….which is why we sceptics need to actively educate the younger generation with facts not soundbites and emotion. Last time i looked, physics not screaming at the sky dictates power generation…. There is a great series whereby this Pastor goes on uni campuses and actively engages with students about Christianity and debates with them logically. This is true KK – there is corruption at all levels, whatever way you turn! The carpetbaggers of Big Green have come up with a strategy for talking to skeps: appeal to our hard heads and harder hearts by emphasising the cheapness of renewables and coming up with convincing numbers. Because they know we’re so big on money and bottom lines and numbers, right? They saw it in a Jane Fonda movie where the ceegar-chewin’ conservatives were the bad guys. Part of this illusion of cheapness is achieved by bundling hydro and biomass with unrelated tech on the grounds that all are “renewable”. But mainly it’s just fiddling numbers till you give up arguing out of sheer fatigue. The guy with the most accountants always wins, and Josh Frydenburg has accountants instead of dandruff. If he sneezes, an accountant falls out. But look at the red bubbles on that third map. They’ll tell you all you need to know. Coal, especially our coal, is burnt by the people who MAKE OUR STUFF. I’ll repeat, though not for Josh, who is Australia-negative and couldn’t care less. Coal, especially our coal, is burnt by the people who MAKE OUR STUFF. Listening to Frydenberg, on behalf of Turnbull, trying to explain how the Coalition is trying to save the planet but not too much, not as well badly as Labor intends, is tragicomedy. Turnbull is trying ever so slowly to crab walk away from the 42% ‘clean’ energy target but not to let it be seen that Tony Abbott et al. were right all the time. In determining energy policy his self-image is his most important consideration. It must be very frustrating for Tony Abbott to have been criticised by Chairman Mal on so many matters and later copied by him. These pollies are verbal anesthetic for our brains. Even more enlightening is listening to Alan Jones ripping him apart, in person. Alan pulls no punches and leaves nothing to the imagination, but Josh, to his credit, comes back, weekly, for more in the naïve belief that he can somehow demolish Alan’s arguments. Listening to the podcast of Alan Jones debate with him (May 16) is infuriating, Frydenberg simply doesn’t attempt to answer Jones’ legitimate questions, just repeats the half-truth that they are phasing subsidies (not existing only new subsidies) and oft-repeated green nonsense that Alan Jones is “nostalgic”, he’s behind the times wanting to stick with technology that is cheaper, works 24hrs a day 7 days a week and is not dependent on the weather. Renewables have their place, but it is not in supplying reliable and sufficient power to national electric grids. Coal is ideal for providing reliable, sufficient, and cheap power to national electric grids. Maybe a good measure of how a nation’s government serves them is the ratio of renewables/coal supplied electric energy to their electric grid. Anythig significantly greater than a very small fraction is destroying itself and its people. So the (self induced)” recession we have to have” is not too far off at this rate -causing further energy poverty with increasing household disconnects from the grid. gleefully inoculate ourselves with a live strain of the most virulent influenza available. The best of luck to Peter Ridd. I’m hoping that there is still some integrity left in the Australian Federal Court. Jennifer Marohasy has written a longer article about Peter Ridd. Peter Ridd has reopened his Go FundMe campaign. Since I contributed to the book which lead to his sacking, L will be contributing to the legal fund also. Thanks for the reminder and link. Jennifer Marohasy is in fine form. ‘He was also found to have broken an order that he “not directly or indirectly trivialise, satirise or parody the university” after he sent an email to a former student with the subject line “for your amusement”. Graham Lloyd in the Oz. There’s something a little odd here. Usually, I can enter a person’s name into the Gooooooogle Search Engine, and somewhere on that first page which opens, more often than not closer to the top of it, their Wikipedia entry will be one of the links, no matter how obscure that person may be, especially for Academics. There is no Wikipedia entry for Professor Peter Ridd. It might be a sin of omission, but after the Federal Court hearings that will change. Not unusual to not be able to find prominent Skeptics names as a Wikipedia entry. Two strikes are levelled against prominent skeptics in Google and Wikipedia.
! / Al Gore, the inventor of the internet according to is own “humble confession” [ sarc] plus being a Nobel Prize winner based on a vaporous and damn sight flimsier basis even than Obama’s “Peace” prize and that is being polite, is on the board of Alphabet, the corporation that owns the Google enterprise and its search engine. You can draw your own conclusions as to the import of this fact when it comes to googling Skeptics who dare to doubt and question the “consensus” as defined by Gorebull and Co.
2 / “The Stoat” one of the nastier pieces of work in the climate argument and otherwise known as William Connelley who had unrestricted editorial rights to Wikipedia eventually got banned after eliminating and altering both the numerous Bio’s of skeptics and a lot of basic climate observations..
Connelly who made a number of cameo appearances here on Jo’s blog a couple of years ago had the his “Stoat’s” hide nailed on the skeptics door to dry out for his trouble after Jo’s denizens had worked him over and reportedly, has now once again ingrained / finangled some of it through his running dogs, himself into once again having editorial powers over Wikipedia entries . And so often skeptics at a mid level don’t get a mention or are eliminated by Wikipedia whereas VERY prominent skeptics such as Roy Spencer , a skeptic and head of one of NASA’s satellite climate analysis units and therefore a bit hard to just eliminate his bio and accomplishments has often testified how his personal details and accomplishments as listed in wikipedia have been altered and bastardised to try and reflect badly on him personally. Roy has on frequent occassions in the past, altered his record in Wiki to correct the Wiki’s blatantly bigoted version of his life and accplishments but he has often remarked how within minutes his record is changed or reverted back to the bigoted and derogratory level. Wikipedia in theory is a marvellous concept, putting all of mankinds knowledge together in a very easily accessible to all concept. The Internet also is a true marvel that allows mankind to access anything and just about everything we ever need to know and then to find that information mostly within seconds. Both are truly remarkable concepts UNTIL those of evil intent and a high level of seriously dangerous psychopathological characteristics try to take over both concepts to further their own wealth and personal psychopathic lusts for unlimited power and influence over both individuals and the rest of mankind. So the back of the envelope message is “Don’t trust Wikipedia” at all in matters of climate and bio’s of skeptics plus of course never trust Wiki on any controversial subject or person at any level. Hard to believe that our leaders are so stupid. Ted, I suspect that our leaders aren’t so stupid. Which means that they’re the other thing. No it’s not hard to believe Ted. It seems quite obvious to me that very few politicians have done any research into the ‘gerbil warming’ scaremongering. If they had done just a little, they would find that there are many questions that have not been answered, many predictions that have failed to come true, and no theories that can be verified in practice. The whole thing is a sham, and we are the mugs paying the bills. Our politicians are the worst of the worst. No accountability. Their only concern is the next popularity poll. The sad truth is that politicians, being mainly lawyers, add credence to the bad name that lawyers have. I forgot to mention our wonderful BOM. The BOM refuses to use worlds best practice standards for measuring temperatures. And they use their own designs which they say have been tested and calibrated. It’s very strange though that when 2 BOM sites that were being monitored by independent scientists were found to be producing faulty readings. AND, that following testing that these were the only sites in OZ that were producing incorrect data. Weird. The only 2 sites that were being monitored by independents… BOM then states that it has done tests and assures us that they were the only 2 sites that were faulty. Just unlucky? This encapsulates the folly of having lawyers anywhere near the decision-making regions of any organisation, along with accountants. These chaps may indeed have useful contributions to make, as advisers, but certainly not as determinators of policy. Bean counters are great at counting the beans already created by the efforts of others, but hopeless at finding new, creative sources of beans. Same goes for lawyers, who can give you dozens of erudite reasons why any given proposition cannot be successful. Then why do we keep voting them back in with full control and power and not giving support to a party such as the ACP at least to slow down the spread of the anti-coal nonsense supported by both major parties? Doesn’t that make the voters the real stupid ones? Red thumbs out in force today! I agree with you, so I’ll give you a green thumb. The well known Dunning Kruger effect is,– If you’re really stupid, you’re too stupid to know how stupid you are ! What’s amazing is that the whole ostrailyan electorate is so ignorant (and several other things a mod wouldn’t like) that they continue to vote for them. If I walked into a shop and all they had for sale was the LNP and Labor front bench, I’d walk right out without buying anything. As was already posted before, one definition of insanity is doing the same thing over and over expecting a different result (and also a better result but actually getting worse and worse – my addition). World electricity demand increased by 3.1% in 2017, significantly higher than the overall increase in energy demand. Coal generation increased by 3% (280 TWh) in 2017 at a global scale, accounting for a third of the total growth and more than cancelling a 250 TWh decline seen in 2016. The growth of coal-fired generation was mostly in Asia, with an increase of 365 TWh. Although China and India dominated the increase, Korea, Japan and Indonesia also contributed significantly. The United Nations Representatives masquerading as Australian Members of Parliament replaced the concept of a local member elected to represent the constituents of each electorate and collectively govern the nation (state or council district) in the best interests of citizens. Socialism masquerading as environmentalism, for example. Our assets, the Commonwealth of Australia, being plundered and controlled by foreigners aided by the self centred globalists. Proud to be globalist Chairman Mal head of this UN subsidiary. Former managing director and partner in Goldmann Sachs. The spots have not changed. I have a confession to make. I don’t believe it’s as gloomy as many of us have painted, including myself, at least not for many years. A crash and burn scenario will come about but in the meantime I can sense already we are about to witness one of the biggest stock market booms of all time. Of course don’t take this as financial advice – it’s just my opinion and I am certainly not a financial advisor. What I can see is the US is booming and will continue to do so for at least a few more years. Russia and China are also booming despite their debt problems. Europe is also turning around despite its debt problems. If all this continues for much longer it will start a new commodity boom perhaps even surpassing the previous one that helped the Howard government. If that happens we will experience so much exuberance it will be party time all round. Shorten will be very pleased. Of course when the music stops and the next significant financial crisis hits all hell will break loose due to overextended margin lending practices once again in the face of ever higher interest rates bursting the bubble. In the meantime though I can see the potential of Australia doing very well as long as we make some sensible decisions along the road. The only sensible decisions I can see regarding power generation are coming from the ACP party. It will be interesting to see at the next election whether the ACP can sneak in and control the balance of power to force the necessary changes to put a stop to the destruction of our coal fired power industry being carried out by both major parties, which oddly enough in the short term may not matter since if we have the money we could simply build more and more solar and wind farms and lots of grid energy storage systems, such as this one: https://eosenergystorage.com/ not to mention others that are still under development. So for now don’t be too gloomy but understand the road we take will make a difference between having a hard landing or a soft one. The choice is ours. Overseas economies are booming because there is a general trend of lowering the corporate tax rate. This encourages business and the economy. Unfortunately Labor seems intent on keeping corporate taxes and government spending high. If we could decrease taxes and decrease government size, control and spending, Australia would be a lot better off. Sorry PeterS but I cannot possibly give you anthing but a red thumb for you comments regarding the construction of ‘…more and more solar and wind and lots of grid energy storage’. I do not see this as an energy solution for us here in Australia ever, even if we experience an economic upturn. You misunderstood. I wasn’t supporting them – I was just saying it could end up going that way if the money is flowing into the country in bucket loads. 1. Scrap all incentives for renewables. 2. Promote coal fired power so much and so hard to encourage their construction, even if it means China is involved as they are already in many other places around the world. These two points will force power prices crashing down through the floor. 3. If it doesn’t then the federal government should nationalise the whole power industry and build the coal fired power stations and subsidise the cost to consumers and business. Either way the economy will boom enormously. 4. Build up our supply of diesel and petrol from overseas so it can last for say a year if our supply is halted, which can happen at any time, certainly far more likely than any hypothetical global warming catastrophe. 3. If the stock market boom and accompanied commodity boom take place, we should pay off our national debt as quickly as possible and build a large surplus much like what Howard did. It will help us go through the next big financial crisis like we did with the GFC. Otherwise, when it hits we won’t be as lucky as last time. Oh and of course tax cuts all around. They are a given. Tax is almost an abomination., especially the way it’s structured now. Peter I agree with you and extend the economic bounce here in Australia. I wondered what our government might do once President Trump showed the way forward and after he had the opportunity face to face to remind our PM which side Australia is supposed to be on. Noting the lecture President Trump gave to the UN in New York about them growing beyond their Charter and why they should stop interfering in sovereign nation affairs. Right now the US is expanding its military presence in Australia with many military assets already deployed including the F-22 Raptor stealth fighter in the NT, Nuclear submarines on the way to be based in WA, and much more. The leftists are complaining that the government is not green enough and has gone slow on their preferred agenda. Of course the economy is benefiting from the Hockey Budget measures despite the Labor budget repair measures blocked in the Senate since 2014/15 financial year. But also from a new mining boom commencing, export demand for farm produce and more. It’s going to grow/accelerate rapidly for the next six to seven years, if there is no European/Middle Eastern/nuclear/Global war in that time. Last year, 2017, I predicted a “crash” in October. It didn’t happen, so I was wrong. The Ministers of Finance, all meeting at Davos in January this year, all patted each other on their backs for not having one. I had predicted a land market one but they had basically crushed all steam out of the land market over the the two years leading up to it by very restrictive lending practices. Watch this happen again about 2023, if other things like warfare, food shortages from crop failures and ice and snow don’t get in the way. But there was still an economic `hiccup.’ Financial firms (GE Money is a good example) still had problems but because there had been no land-based crash, they didn’t collapse as well. 2017 was a quiet year with reduced economic activity but no big slump. So there has been no deep recession, which always follows a land-based or triggered halt. “Growth” will be hyperbolic for another seven years. Watch it closely. Based on previous time lines, I would have said October 2026 for the Big One, like 2008, and 1990 before it, and 1983, 1971 etc before that. But it may be sooner. It won’t be a land based sudden crash. Because the 2017 one was avoided, the Ministers will try it again because it was “successful.” It will come from somewhere else. Look for the wild or ever increasing speculation. That will give a clue because when times seem good, “Capital Gain” is avidly sought, and borrowing to make that CG intensifies. It’s going to be Interesting Times, with a lot going in any direction over the years. So may you live in interesting times. You may have noticed the substantial shift in strategy by the Green anarchists. The simulataneous attacks on Captain Cook, Lord Nelson, Christopher Columbus and others are clearly coordinated. So is the attack on coal. It is simple, natural gas, oil, petrol/diesel, black coal, brown coal, shale oil, gas from fracking are different products with different companies and different interests. They are competitors. So divide and conquer. Today it is coal, as a carbon tax on petrol proved too difficult, too obvious. So the RET. So the blowing up of coal power stations to be replaced with diesel engines! There is a sense of the surreal when former Sout Australian Premier Weatherill presided over the destruction of whole communities, businesses and the utter destruction of working coal power stations and rented massive diesel engines. In whose interest? How did that reduce CO2? Did anyone stop to consider the absurdity? This is quite apart from the quite certifiable idea that CO2 is specific to South Australia, or Australia for that matter. Politicians should not only be Australian, they should have to pass a simple maths test which would disqualify most of them. Especially the lawyers. So now the UN/EU/Communist Green parties are focused and united against the ultra villain, coal. This is coordinated world wide. Just like the attack on our national heroes. There is always someone with no courage or principles prepared to pour paint on a statue of a hero. Just quietly sales of diesel in Europe are plummeting as cities start to ban and tax formerly Green diesel because of high levels of nitrous oxide, a real pollutant in every sense. Nitric acid. As bad as Sulphur and acid rain. The fantasy of Green diesel is vanishing. Still, science has nothing to do with man made Global Warming. Nor the facts. Britain has up to 23 trillion tonnes of coal under their part of the North Sea. If you were to plot this on the first map the black circle would fill the whole map (it comes to about 100 times the size of the US blob). At current rates of consumption that resource alone would power the whole world for roughly 3,000 years. That belongs to the EU. Like the fish. Getting at the coal could be a problem, with underground mining the logical solution or perhaps a gigantic sea wall and open cut. Average depth of 90 metres /300 feet. Still with so much money down there, if they can build billion dollar offshore oil rigs, engineers can design a moving open cut mine. Isn’t it John Darling Coal Mine Newcastle that was abandoned in the 1970s because the access tunnel was too far out to sea for economic production, moving the miners back and forth wasted too much time? They mined under Sydney Harbour. It could easily be mined: Submarine Robots. Given the climate change conference has collapsed as a result of China refusing to abide by their wishes, and the fact that Trump is thumbing his nose at all this global emissions nonsense, it leaves both Turnbull and Shorten all alone with their continued commitment to destroy our coal fired power industry but to appease who? It certainly isn’t for the two most powerful nations, who will continue to power along mostly with coal and nuclear for a long time to come. So the question voters at the next election will have to ask and answer for themselves is do we need leaders like them to continue with their anti-coal policies, or do we need to give them a strong enough message to say we had enough and they need to change? Which is it? The last time I looked we are still a democracy where the public have the right to vote for any party they like and support. That means the voters have the responsibility to make the right choice if they desire. If they do not exercise that right and responsibility then you can’t blame the politicians for being stupid, especially when either major party is voted to form government with a majority. Once the voters have their say they have to cop whatever happens wrt coal fired power. If they don’t like what they see now then voters have to change their voting pattern such that neither major party can form a majority government and another party with more sense, such as the ACP can exercise the wishes of the voters to force the government to change their policies on coal fired power and other issues. Why is this so hard to understand? A lot of voters are lazy. They will vote the way they always have, and then whinge about their power bills. They will eventually wake up, but will it be too late? Definition of insanity…doing the same thing over and over and expecting a different outcome. Some would say it’s already too late given the time it takes to build coal fired power stations. I’m not so sure but something has to change soon or else. Any news anyone on the dismantling of Hazelwood? Engie racing to do it, or sitting on it waiting for the next Victoria government? Energy prices are falling at the moment because Turnbull intervened and forced the international conglomerates to give us some gas at a reasonable price. Looking to the next election the debate will move from energy to immigration, our cities are full and the people are unhappy with the majors for destroying their way of life. Five years ago a shale oil and gas field claimed to hold reserves equivalent to Saudi Arabia’s oil around Cooba Pedy South Australia. Of course there are other known oil/gas fields here including off the coast of Western Australia yet our governments are not promoting this bonanza of fossil fuel resources. Australia should now be self sufficient and an exporter. Is this because red and green tape is creating roadblocks against development of infrastructure? Tuesday 15 May 2018 and a repeat of a 2013 news story? Agree totally that nuclear or fusion will take over. without the need for any government intervention and spending. The UK recently announced that they have a small operating nuclear fusion generator operating and that they expect to be in a position to sell the technology within 15 years. Interesting development, I have been following big ITER project in France. Fusion really is an exciting prospect. Will we be using nuclear fusion power by 2025? SA wind ‘generation’ at the moment is 16MW – the demand is over 1,100MW. I have sent Tom Koutsantonis the graph of his legacy, just to remind him of his failures. For those who are not across this yet, TonyFromOz has established a new series, detailing total power production from all sources across Australia. So, whenever those Greenie spruikers want to tell you how good their renewable power is, show them this! Then they might see how paltry their wonder fuel is! MILLIONAIRE Clive Palmer will soon learn the fate of his proposed coal mine in Queensland which could be twice the size of the Adani project. A spokesman for the Department of the Environment and Energy told the Townsville Bulletin it would decide by Monday whether the Alpha North Coal Mine Project mine proposed by Mr Palmer’s Waratah Coal company will need a “detailed assessment under national environmental law”. I think it was a disgrace how Palmer was smashed over Yabulu going broke. First the bonehead local Federal Member (a Lib), then State (Lab), then Local council mayor (Lab). Palmer may have been a big mouth clown ftom a dusintegrating competing party, but they run out of town a guy with very deep pockets, when the whole area was suffering record unemployment (highest in Aust), and was, and still is desperate for investment by people with just his sort of money. The Fed, QLD and Local politicians really shafted Townsville in the process of running off Clive, because all of the potential investors to the area saw this over the top political attack on Palmer, and they would have immediately decided that’s one city that they will not be investing in, any time soon. And they haven’t. Who would, when that’s what they do to private investors when it suits them. The economy remains weak, high crime, high drug use, high relationship failure, plus mucho suicides, have all been driven higher. The politicians should ALL have shut their gob and helped, especially the local mayor (what a fool), as they all ensured that the enconomic and community results were worse for longer. Townsville has been set back for at least five years by that. And it wasn’t Palmer who did that. I say if Clive Palmer wants to invest, then get out of his way, as that’s exactly what we need. Watch the bribes …umm election campaign donations and expenses flow. Absolutely correct. Anyone with sense would realize that we are only a few generations away from the worldwide use of nuclear power. Any the remaining coal will find other practical resource uses. Meanwhile lets use the coal we have and enhance our competitive advantage in the world of today. Well the rest of the world is using a lot of coal and many nations are gearing up to use even more coal given the plan to build over a thousand coal fired power stations. So if we don’t use it but other countries that compete with us will continue to do so no matter where they get it from, here or elsewhere. What this means is we will fall further and further behind while other nations boom. Not a good plan for any political party to pursue regardless of the climate change debate. We might as well shut down all our power stations right now if the voters keep voting for the two major parties to form majority rule. At least it will wake everyone up. Coal is a gap filler. We should be (globally as well as locally) moving to nuclear. LFTR technology is right on the cusp of production with certification for some companies well under way and for some, due to complete in another year. Forget the old-fashioned pressure water reactors. They’re dangerous and are what all the green/anti-nuclear activists are fascinated by. (Moths and candles comes to mind.) As soon as LFTR is go, then they can be decommissioned and dismantled. End of problem. LFTRs will also be transitive if the fusion technology can be a real step and that won’t be for 15 years but longer, and if fusion doesn’t fly, we are still onto really long term nuclear. I have a feeling our known reserves will last a lot longer because Labor with the help of the greens will ban all coal mining for the sake of the planet ,as for cost and sovereign risk issues it means nothing to them to waste money where there is a principle at stake . Look at Herr Andrews spending a billion not to build a road . Climate change poses a “current and existential national security risk” to Australia, according to a Senate inquiry report released Thursday. The report (LINK), compiled by the Senate Foreign Affairs, Defence and Trade References Committee, reviewed the implications of climate change on Australia’s national security and the insights are startling. 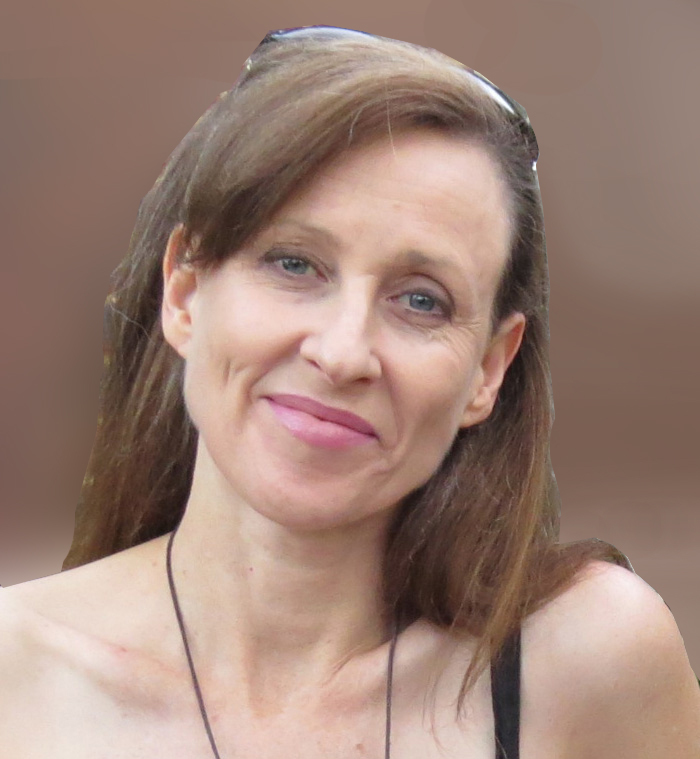 Sherri – ***whose visit to Australia in April 2017 was a catalyst for the inquiry! Climate change is “a current and existential national security risk”, according to an Australian Senate report released on Thursday. It says an existential risk is “one that threatens the premature extinction of Earth-originating intelligent life or the permanent and drastic destruction of its potential for desirable future development”. The report by the Senate’s Foreign Affairs, Defence and Trade References Committee follows an Inquiry into the Implications of Climate Change for Australia’s National Security. Whilst many of the findings accord with the growing international recognition of climate change as a “threat multiplier” or an “accelerant to instability”, the inquiry’s recommendations lack a sense of urgency, especially since the “current existential risk” is being triggered today by the Australian Government’s insistence on expanding the use of fossil fuels. But there is a complete disconnect between the report’s findings and its recommendations. Existential risk management requires brutally honest articulation of the risks, opportunities and the response time frame. At the moment we are knowingly locking in an existential disaster without being prepared to articulate that fact, which is a breach of the Senators’ fiduciary responsibility to the Australian community. Yet our alert level for an attack by extremists is still where ? ” … But there is a complete disconnect between the report’s findings and its recommendations. Yeah, that’s what it’s all about, they hate that both Australia’s latest security and defence guidence documents deliberately removed the prior absurd blurb about a CO2 greenhouse effect attacking Australia. The US did the same within its guidence documents. That ludicrous CAGW rubbish never should have gotten into such sober official documents. I hope the dopes who origionally put that CAGW rot in there have now been eliminated from their .gov positions. How did such rubbish ever get approved for publication in the first place??? Dodgy Def Minister pushing ideology? … yup. The problem with politicians is that none of then have any scientific knowledge or understanding. The only PhD in federal parliament lasted one term and was then disendorsed. I write letters to ministers (Friedenberg particularly) but it is really a waste of time. They are completely ignored. I live in a place that was once one of the world’s most important centres for a vital natural resource. What happened? Did it run out? No. I live on the edge of Sussex’s South Downs. The natural resource? Flint. There are remains of old flint mines from paleolithic times all over the place, and indications that Sussex flint was traded for all over Europe.